We are just a day away from the official unveiling of the all-new 2018 Maruti Suzuki Ertiga at the Indonesia Motor Show, which will begin from tomorrow. 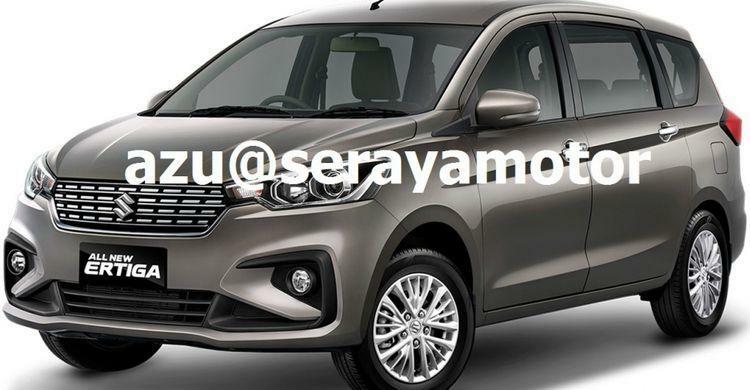 The first official picture of the MPV, said to be from the brochure of the new Ertiga, has now surfaced on the internet. 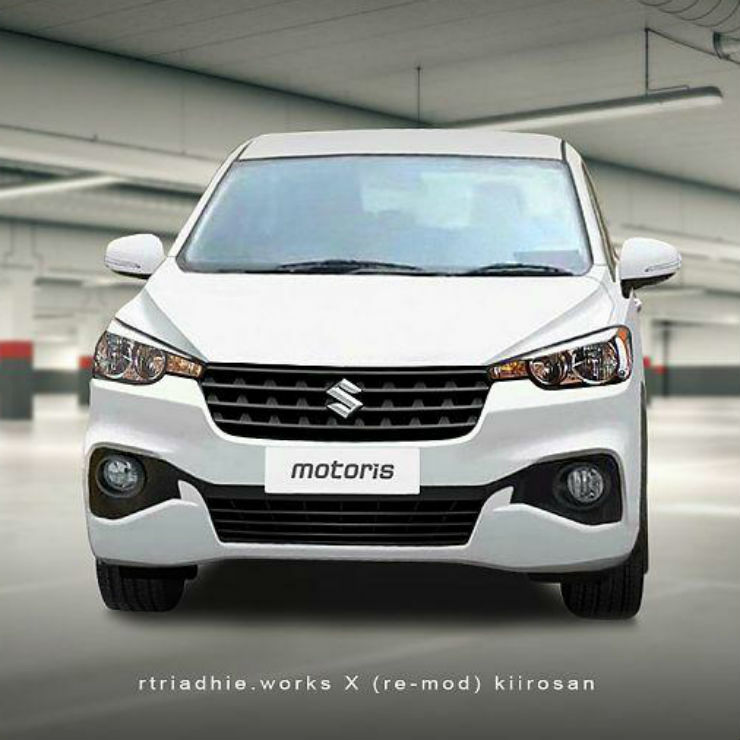 The picture is similar to the various renders of the MPV that have been doing the rounds over the past few months. The new Ertiga will be first launched in Indonesia, and the car sold in that part of the world will be built and exported from India, at least initially. Maruti is expected to launch the new Ertiga in India sometime in August 2018. Coming back to the leaked picture of the MPV, it’s clear that the new Ertiga will look a lot different from the new Swift and Dzire despite sharing the HEARTECT platform and many other parts. There are projector headlamps at front and the MPV now looks more butch than rounded. Maruti Suzuki is also said to be developing a crossover-ish version of the new Ertiga for launch next year as an upmarket, butch upgrade. However, the regular Ertiga will be launched first, and is expected to pack in a new, 1.5 litre petrol engine called the K15B. This engine will output about 104 Bhp-138 Nm, which is a step up from the 1.4 litre K-Series engine’s 94 Bhp and 130 Nm outputs on the current Ertiga. While the Indonesian market will get only the petrol engine, the Indian market will get the new Ertiga in diesel trim as well. Like the petrol version, the diesel model is also likely to get an all-new engine, this time a 1.5 litre-4 cylinder unit developed in-house by Suzuki. This engine will soon become a staple across all Maruti Suzuki cars that are currently using the 1.3 litre Fiat Multijet diesel engine. This means that the new engine will be offered not only on the new Ertiga but also on the facelifted Ciaz, Baleno Facelift, Swift, Dzire and the Vitara Brezza. The new Ertiga will continue to be a 7 seater, and is expected to get larger both on the inside and outside. The MPV will get interiors inspired by the Maruti Dzire in terms of design. New infotainment features such as the Smartplay touchscreen unit will be added. Keyless entry, push button start and split function for the second row are some of the features likely on the interiors of the new Ertiga. The MPV could get automatic options on both petrol and diesel engines although Maruti is yet to confirm this detail. The new Ertiga will be front wheel driven and is likely to have ample ground clearance, making it an ideal multipurpose vehicle, both for families as well as cab operators. In India, the new MPV could get a CNG option as well. « India’s first-ever lowered new Maruti Suzuki Swift: This is IT!